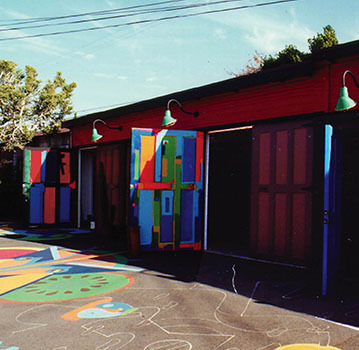 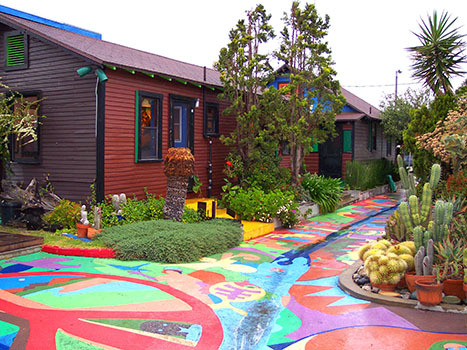 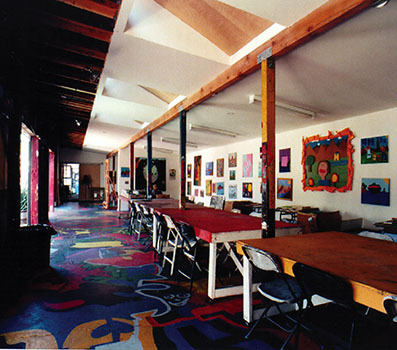 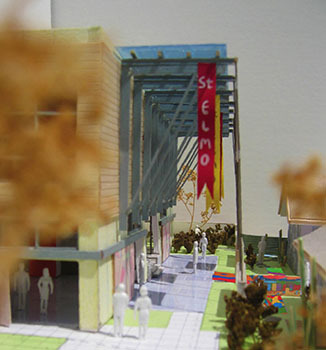 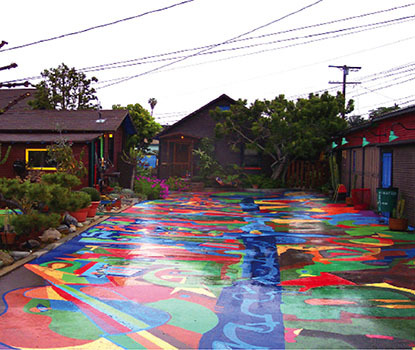 Our relationship with this St. Elmo Village began in 1995 with the rehabilitation of 20 historic bungalows and a former stable building into a series of artist-in-residence studios and workshop spaces - including seismic, code, and building system upgrades while preserving the iconic character of the burgeoning Artist Community. 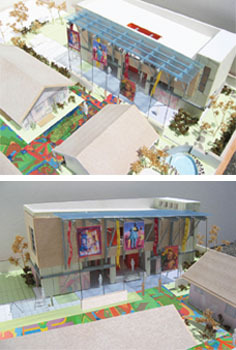 Scope: Historic Bungalow Rehabilitation + Re-use of Stables as Classrooms. 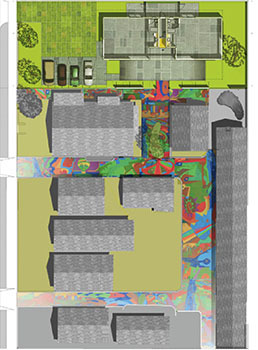 The design of a new community center on an adjacent parcel adds two new resident artist studios, two classroom / exhibition spaces, and a communal porch and event space. 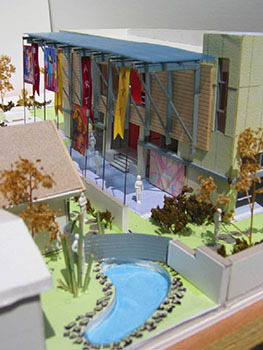 This project is designed to be LEED certified and led to a complete sustainability audit and master plan to take the village off the grid - positioning it not only as an artistic and social beacon but also as a showcase for affordable sustainable upgrades and environmentally conscious living in low-income communities.